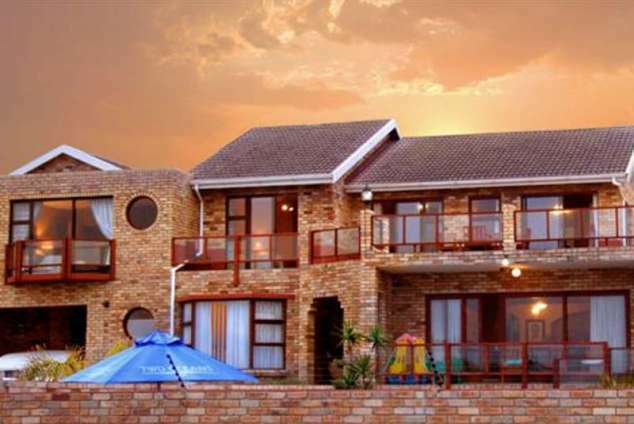 Bluewater Beachfront Guest House - Bluewater Bay Accommodation. We are about 13km from the city centre, right on the beachfront, lovely sea view, 15 minutes drive from the University, 0,8km from shopping centre, near the N2 highway and approx. 25 minutes from the Eastern Cape Game attractions: Shamwari, Addo Elephant Park as well as the Seaview Lion Park. Only 0,5km from Swartkop's river mouth. Spacious rooms with lovely sea views. 7 room available; 4 bedrooms en-suite a family unit as well as a 2 bedroom flat (B&B or self-catering) with a lovely sea views and a bachelor self-catering unit. Swimming pool, guest lounge viewing the sea and safe parking. Mild Winters with lovely sunny days, glorious Summers with no extremes in temperature. Guiding Services for Self-Drive Visitors Fishing Trips (deep sea, river, surf) Whale/Dolphin Watching Game viewing Trips Bird watching Trips Wireless Internet Connection Hunting Trips Boating Diving Gym Conference facilities nearby We also do central reservations for bigger groups. 36740 page views since 21 Jul, 2004.